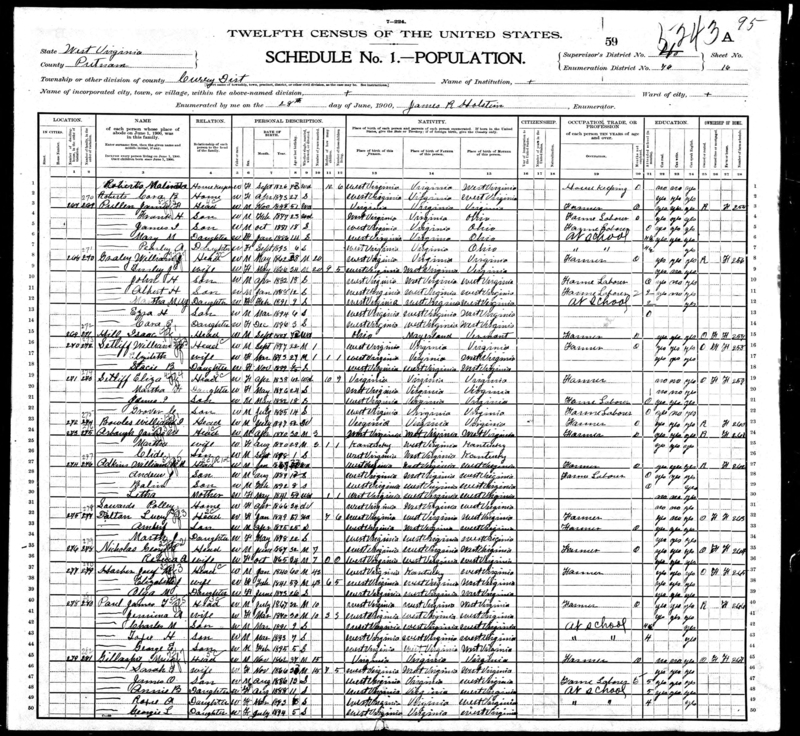  Andrew's draft registration, dated September 12, 1918, shows him with a birth date of August 10, 1883. This document is personally signed by Grampa Andrew, spelling his last name ATKINS.  Grampa Andrew's children spelled it both Atkins and Adkins, with some children spelling it one way part of their life, and the other way another part of their life.  An example is one son's entire family spells it Atkins, and yet when he gave the information for Grampa Andrew's death certificate, he gave it as Adkins.  Grampa Andrew himself, spelled it Atkins like his father, William C. Millard "Bud" Atkins, had spelled it. ...all of whom spelled it Adkins.  Although there are other explanations, the family name Adkins derives from a naming custom where families would indicate the earliest male ancestor by using the first two letters of the ancestor's given name, and add "kin" to it, indicating they were his kin, generations later. Using this convention, Adkins (plural) are the kin of Adam.  Census records do not agree on his age (which is not unusual for census records).  Family recollection of his children, most of whom were asked, agree he was born on August 10, 1884. 1931 Death Certificate: Springhill Cemetery. Records at Springhill Cemetery manually searched by Doug Couch in 1999, and he is not there. Staff at Sunset Memorial Park in Spring Hill, and Spring Hill Cemetery in Huntington also checked and have no record. As Andrew was an Apostolic minister who preached somewhere in the Charleston area, inquiry was made to several Apostolic churches in the Charleston area and to the organization with no results. Dorotha King Atkins: (Mrs. Virgil Ocil Atkins) said Andrew was buried in a church yard on Chandler's Branch, not far from their home (most likely location). Doug Couch searched for this church yard in 1999, which may have been in a house at the time, and could not find it. Lorine Strickland: Lorine said her mother, Nada Atkins Strickland (dec'd) had stated Andrew was buried around Cuckleburr Creek (Eden's Fork). This is possible, as Andrew's family lived on Cuckleburr Creek; however that residence was moved from approximately a decade prior to his death. Doug Couch's mother was born on Cuckleburr Creek during that earlier period. Subsequently, Andrew's family lived in a house on the south side of Little Sandy Creek, west of the residence of Nada who lived on Little Sandy Creek at Rush Branch. Another family member (Sonny Miller?) said Andrew was buried on Cuckleburr Creek. This is also possible as the family would know people in that area, and it is not too far from the Chandler's Branch area as well. Ruthie, daughter of Dixie Atkins Stewart, said her mother stated he was buried in a big cemetery. Charleston Gazette, Wednesday, February 18, 1931. Andrew Adkins. 47, was found dead yesterday on the front porch of his home at Chandler's Branch. Dr. W. F. Work, county coroner, stated that he died of a paralytic stroke. The body was removed to the Long and Johnson Mortuary, where it will remain until time for the services. Funeral rites will be held at one o'clock this afternoon at the little mission at No. 15 Washington Street. Burial will be on Wills Creek. Surviving are six daughters, Mrs. Mada Strickland and Mrs. Sally Strickland of Big Chimney, Miss Edith Adkins, Miss Hester Adkins, Miss Casey Adkins and Miss Margaret Adkins of South Charleston; five sons, Earl and Ray Adkins of Chandler's Branch, Clarence Adkins of Nicholas County, Vergil Adkins of Station B and Lonzo Adkins of Station A and two brothers. Andrew Adkins, 47 years old, of Chandler's Branch, was found dead Tuesday at noon on the front porch of his home. A parlytic stroke was the cause of death, Coroner W. F. Work reported. The body was removed to the Long and Johnson funderal company office, where it will remain until the funeral services, which probably will be held Wednesday afternoon at Elkview. Surviving are six daughters, Mrs. Mada Strickland, both of Big Chimney, Miss Edith Adkins, Miss Hester Adkins, Miss Casey Adkins and Miss Margaret Adkins, all of South Charleston; five sons, Earl and Ray Adkins, both of Chandler's branch; Clarence Adkins of Nicholas county, Vergil Adkins, of Station B, and Lonzo Adkins, of Station A, and two brothers. Some children of AJA used ADKINS, while some used ATKINS. All children were born of the same parents. Son, Virgil, said Andrew's brothers were Emery and Bellam. (name spellings and years frequently disagree between census records and other type records, as well as with other census records) Jesse Adkins & Letha Adkins are William's parents. "But I'd say our dad name was - Adkins I say this becase Lonny spelled his name Adkins so Mrs Cummings must have known, as Dad probly told her - so and so."